We believe in building strong and open relationships with our patients. To help you understand our office's approach, the following is a list of questions that we are frequently asked. Click on the Questions below to reveal the answers. Why do I have to pay for an examination? In a clinical exam, the doctor diagnoses not just tooth decay and gum disease, but she looks for signs of potentially serious health conditions, including bone infections and oral cancer. It's the most important part of preventive dentistry, which means keeping you health and your dental costs affordable. Looking at it that way, the examination is a great investment. Why doesn't my insurance cover all of my treatment? Economic downturns cause companies to reduce frequencies or drop dental benefits. More and more adult patients are paying more for their dental care out of their own pockets, either because they are retiring or because of higher co-pays, deductibles or exclusions in their employer's dental plan. This adjustment in the reimbursement of dental care favours preventive dentistry. You can actually save money by following a preventive program that will detect problems in the early stages. Although you have insurance, some procedures may not be covered. Your level of insurance coverage is determined by the policy your employer selects. It is based on a group benefits plan and does not take into consideration your individual needs. Insurance plans are a great benefit to the patient. The plans are designed to defray the cost of treatment. The entire amount is not always covered. The patient usually bears some financial responsibility for the treatment and needs to make an informed decision. We are here to help you make a decision that best suits your needs. We promise to base your treatment on your dental health needs, not on your insurance policy. We will be pleased to help you in every way possible to gain the most from your benefit. Is there anything that I can do to improve my level of coverage? You have every reason to be concerned when it seems as if you're not getting the dental benefits that you deserve. Our fees are consistent and are based on the suggested fee guide of the current year. If you are unhappy with your level of coverage, you may wish to address this with your employer. We will be happy to provide you with information on preventive care that may even help you save money. Your dental insurance is your benefit, but we will be happy to bill your insurance company electronically and you will receive your benefit in just a few days. Most insurance companies will not allow you to assign your benefit directly to the dentist and prefer to reimburse you. We have several payment options for your convenience. Please speak with our Treatment Coordinator for more information. We do everything within our power to make sure the procedure is comfortable for you. If you feel any discomfort, please discuss it with us. Postponing treatment will not make the problem go away. The timing of the treatment is up to you. If you wait, the problem could occur at an even more inconvenient time The -dental problem could occur at an inconvenient time for you which may cause you to have be treated on an emergency basis by another dentist. 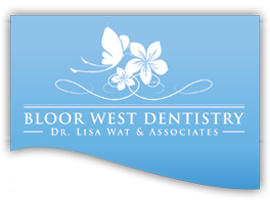 Dr. Wat maintains your complete medical and dental history . She will always recommend a course of treatment that best suits your individual needs. Our goal at this office is for you to feel comfortable and confident with your treatment plan. If a second opinion will help you feel comfortable we urge you to seek one. We are confident in the diagnosis and treatment plans that we provide. When you are making this kind of investment that's a reasonable question. Many of the dental treatments that I have provided to patients have lasted a lifetime, some have not. What I can guarantee is that I will provide the treatment for your needs, I will use the finest materials and I will select an excellent dental laboratory. The difference between dental treatments that last a lifetime and those that do not is the person who takes care of the treated area on a daily basis. I will provide you with home care instructions to help your dental treatments last as long as possible. We are committed to excellence in our field and do guarantee that we provide the dental care that fits with our patients needs and use the best materials and laboratories available. That's a good question. I would never recommend treatment that I wouldn't want for myself or my family members. Here's what you could ask yourself to be sure that you are making the best decision – Will I be happy with the expected results, do I understand both the benefits and the risks, have all my questions been answered?